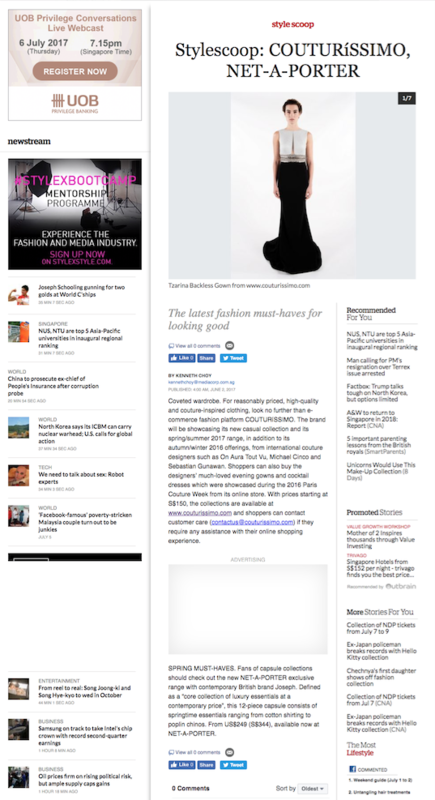 THE CLIENT: COUTURíSSIMO is a groundbreaking online fashion experience that will extend the reach of global, best-in-class designers by providing a bridge between couture and ready-to-wear. 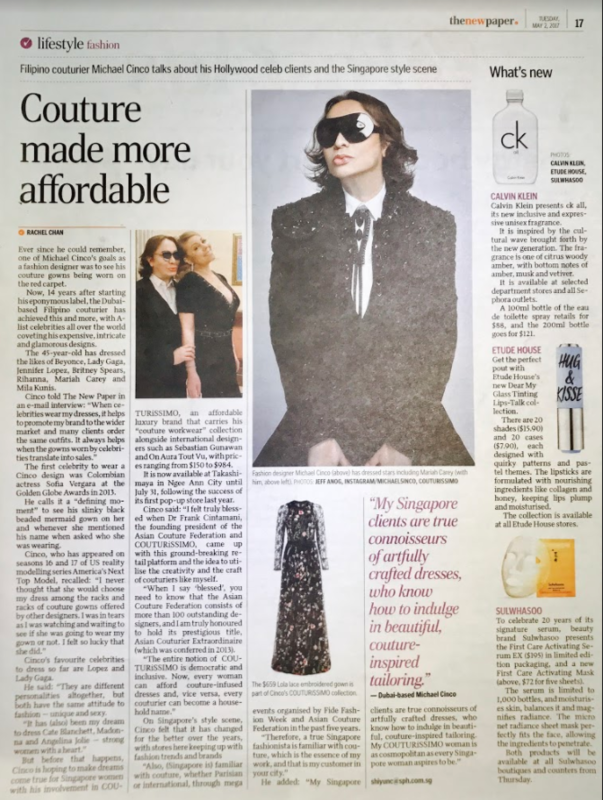 Its mission is to give you unprecedented access to stunning collections made using couture techniques by iconic couture designers, representing the ‘democratization of couture’ in its essence. 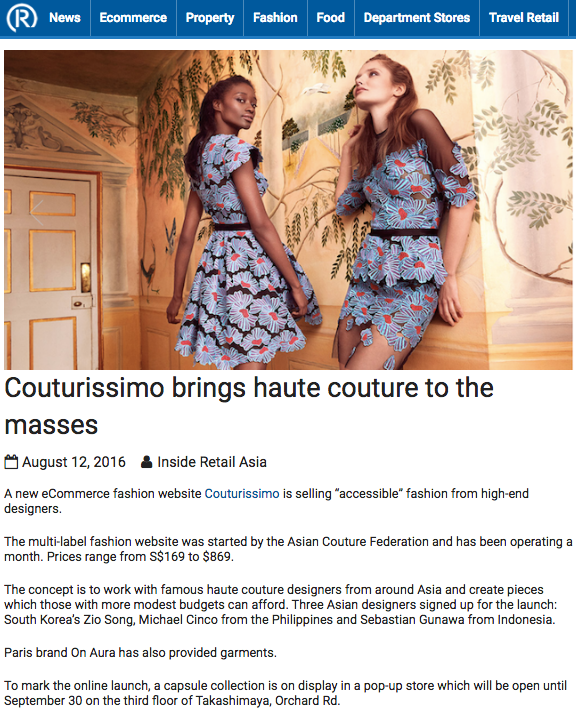 Conceptualized by the Asian Couture Federation, COUTURíSSIMO is a multi-designer brand that focuses on collaborations with exceptional couture designers from across the world. 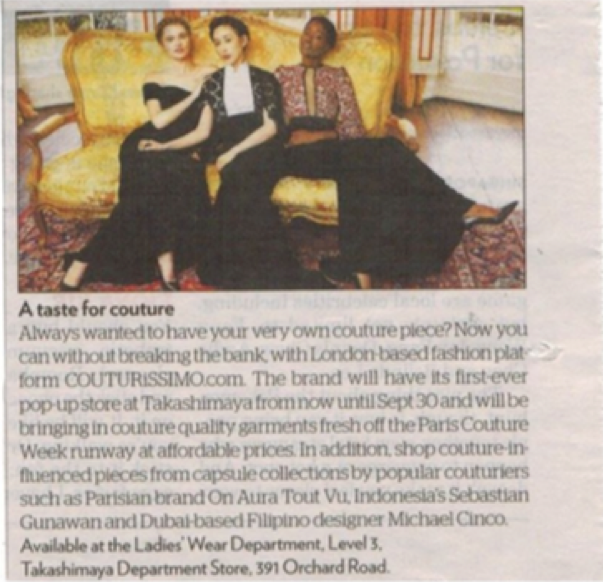 Expect premier designer offerings at very accessible price points. 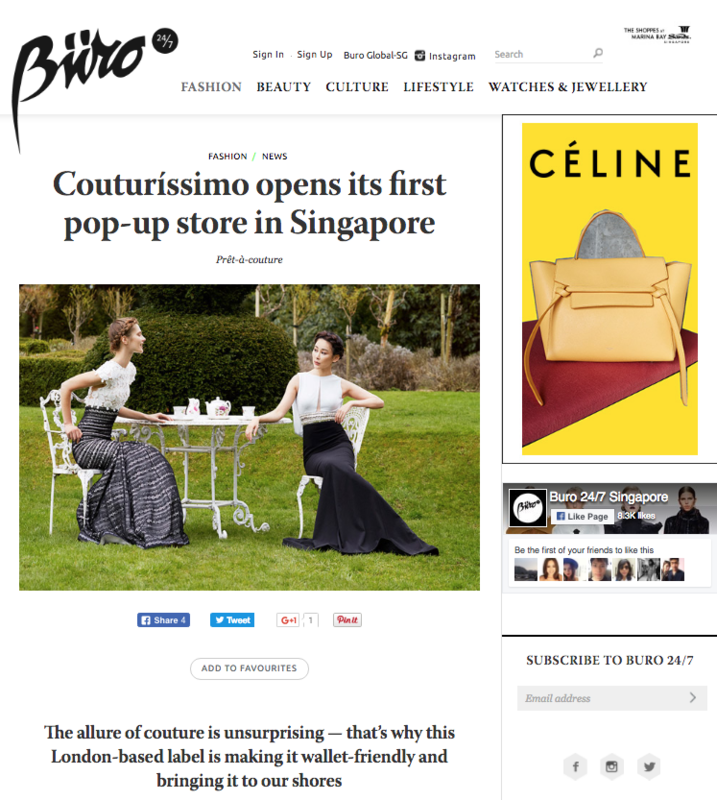 PROJECT DESCRIPTION: PUBLICIST PR was appointed by COUTURíSSIMO in 2016 to oversee the launch of its first ever pop-up store at Takashimaya frin 1st August to 30th September. 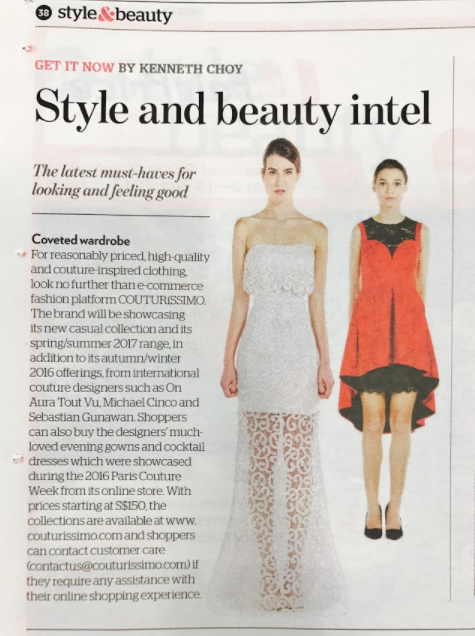 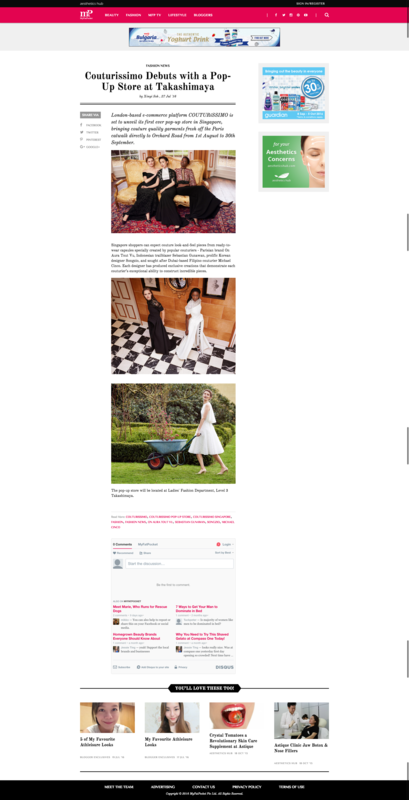 The agency launched a media campaign focused on the press to introduce them to COUTURISSIMO's couture quality garments fresh off the Paris Couture Week runway. 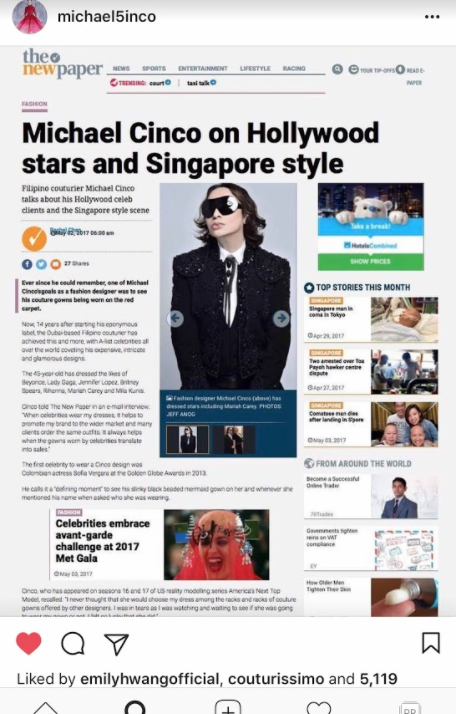 RESULTS: COUTURíSSIMOsuccessfully attained coverage among the pages of prime media platforms including but not limited to: The Straits Times, TODAY newspaper, Lianhe Zaobao, Buro 24/7, and Luxury Insider.